Pots and Tea: Dragon of the East Sea part I.
Dragon of the East Sea part I.
Dragons in mythology of Europe are different from dragons of Asia. Dragons of Asia are related to element of water and live under water compare to dragons of Europe with their fires and caves. Even more, dragons here in Europe are connected to the evil but on Far East there are for protection. Dragon brings rain and clouds. Dragon is important for agriculture -for rice, for vegetable, for tea. When I have visited Korea for the first time the dragon has been given to me. It is both symbolic and wonderful companion during my more ceremonial tea sections. It is related to agriculture and water. That is what is tea about, don't you think? It was very plesant gift from potter and tea master Oh Soon-Teak. Even among Korean potters I met he is extraordinary for me. I had an opportunity to be a part of his tea serving for several times and there was all. He was just preparing the tea for us. And I was wondering: Is his tea ware so well done because he masterly goes on the way of tea or he understands to tea so well because he masterly goes on the way of tea ware ? 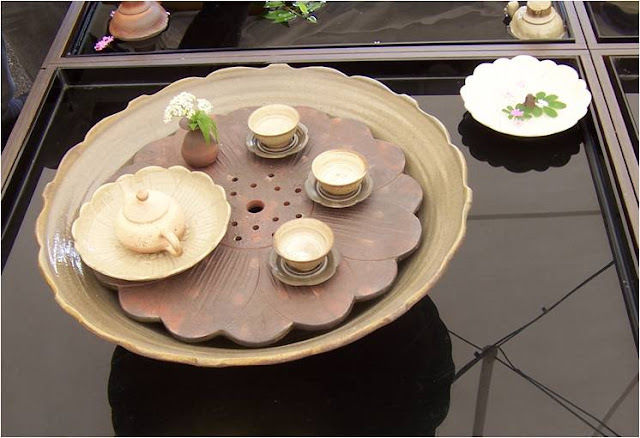 Those of you who have already hold some nice Korean tea ware know, that there is something what we can call "Korean feeling“. Simplicity and softness. But in works of ....we can see also childlike happiness on details with sophisticated and deeply heartwarming impressions from each piece. So next time when you will see the dragon on my blog - don't worry, it is here to protect the tea. 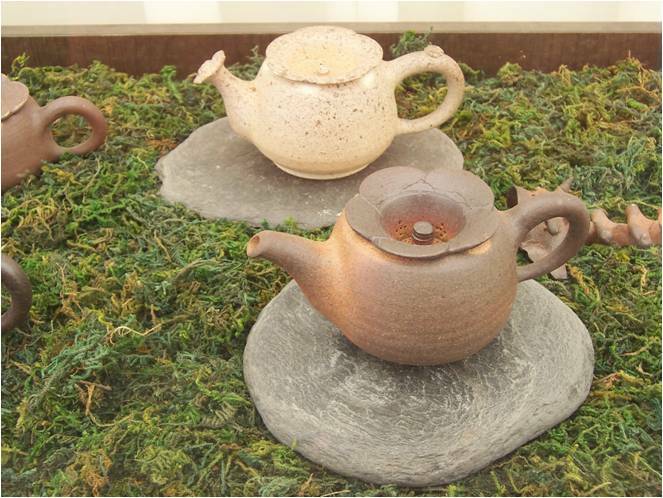 Except the last picture, the other photos show teapots made by Oh Soon-Teak ? Every time I read your blog Petr, it makes me want to drink tea...Thank you again. Oh of course, I was just saying how the colours on the surface with the range from dark red to brown remind me of Bizen. The spouts are a little tapered with a drop at the end though, which make them look different. Korean teas (and tea wear) are one of my favorite!